Gun Digest has released P.O. Ackley, America’s Gunsmith as an Ebook.Naturally the E version of the book will contain all the same information and high quality photos, just in a format for E Readers. At the time of this writing it is only available from Gun Digest in this format, not too far in the future it will probably show up on Amazon as well. For those of you who are curious here is the Table of Contents from the book. This should give you some insight into what you can expect from the book. Unlike many biographies, this book includes new and updated information on many subjects that were of interest to P.O. Ackley. Things like S.E.E., questions of bolt thrust and pressure. 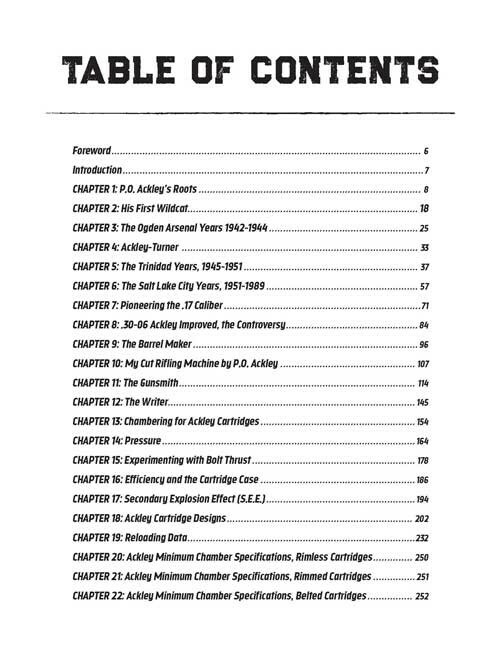 The chapter about Ackley Cartridge designs is the most comprehensive source of information about P.O. Ackley’s designs ever assembled. Even P.O. 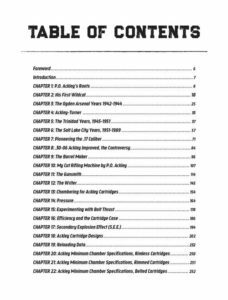 himself did not report on everything he did over the years, the author has collected descriptions and history of cartridges from well over 100 sources to compile this dictionary of Ackley Cartridges. In short, if you want to follow the Ackley trail that ended with his books, this is the place to pick up the scent and capture the history. “P.O. 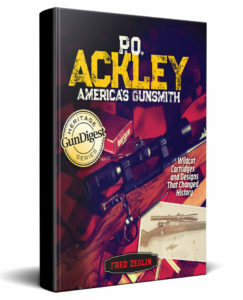 Ackley, America’s Gunsmith is so extensive and so well done, I am at a loss to adequately describe it! ” Dennis “Mike” Bellm. Mike was the last guy to buy out P.O. Ackley’s shop. He was mentored by Ackley for some time after the purchase.